Winter Driving: Will You Get Stuck? Skid? Crash? 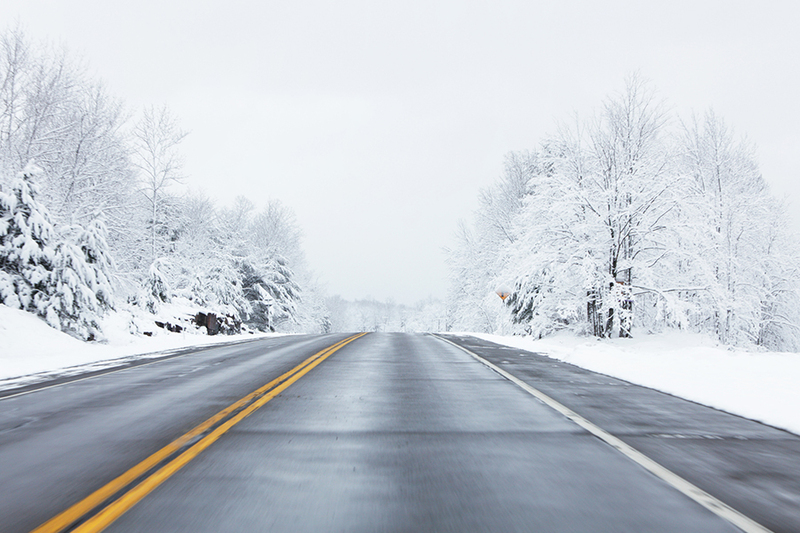 Find out fast with this frosty-roads quiz. The worst of winter is ahead. So it’s about time you made sure that you—and your car—can handle any driving situation Mother Nature throws your way. Evaluate your behind-the-wheel knowledge by answering True or False. 1. All-wheel-drive and front-wheel-drive cars are superior when it comes to stopping and cornering on ice and snow. False. All-wheel and front-wheel drive are great for getting out of snow and getting underway on slippery roads since 60 percent of the car’s weight is over the drive wheels. While this helps you get started, it doesn’t help you stop. And the weight distribution (especially of front-wheel-drive cars) may not be ideal for handling and cornering. 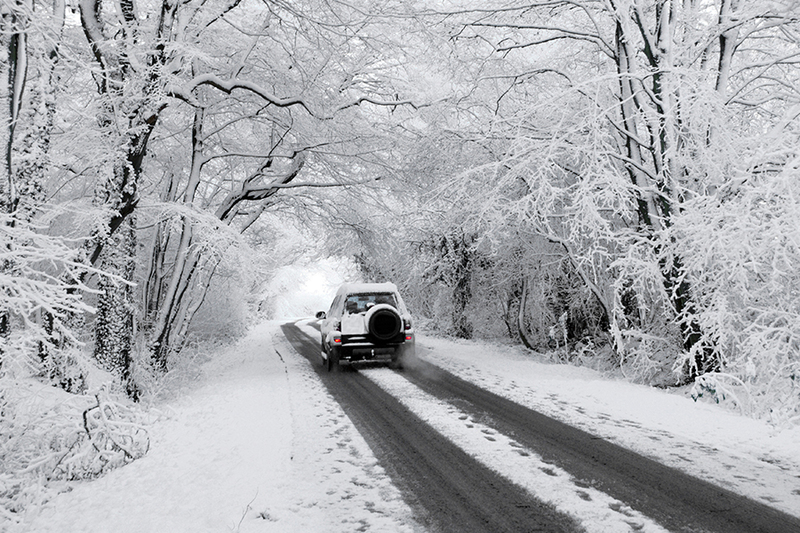 To get the grip it needs to corner and brake properly on frosty roads, you need winter tires on all four wheels. According to tire-maker Bridgestone, the difference in traction between all-season and severe-winter-rated tires is 25 to 50 percent. In all, don’t get a false sense of security just because your car pops out of your snow-covered driveway while your neighbor’s rear-wheel-drive car is stuck. 2. When heading into a curve on slippery roads, brake before you get to the curve. True. Ideally, brake prior to the curve while the car is traveling straight. This way, you’re braking in a straight line. Take your foot off the brake before steering into the curve. This allows you to use all of the tires’ traction for steering. Accelerate only when you are out of the turn, and you have straightened the steering wheel. 3. In slippery conditions, double the distance between you and the car in front of you. True. “Anticipation.” It’s not just an old Carly Simon song. It’s a key to safe driving, especially in snowy, icy and slushy conditions. Look far ahead and be prepared for the conditions, obstacles and maneuvers to come. Not only are stopping distances much longer on slippery roads, but slick conditions also can send your car sliding in directions you never imagined. So give yourself space—and time—to react. The normal dry-pavement following distance of three to four seconds should be increased to eight to 10 seconds. To figure this following distance, choose a fixed point, and when the vehicle in front of you is even with it, start counting. If you reach that object before the allotted time, back off. 4. For stopping on icy roads, pump your brakes. False. Let the antilock braking system (ABS) work for you. If your car was built in the current century, chances are it has ABS. If you’ve ever felt a vibration in the brake pedal on a slick road, you have witnessed ABS at work as the system prevents wheel lock-up. So, with ABS, don’t pump the brakes—that technique is from a former generation of vehicles. Instead, keep firm pressure on the brake pedal until your car comes to a complete stop. 5. If your car goes into a skid, hit the brakes…hard! False. As the AAA Driver Improvement Program (DIP) points out, this is a very poor way to regain control in a skid. As AAA’s DIP instructors note, it’s important to know that there are two types of skids: front-wheel and rear-wheel skids. In a front-wheel (or “understeer”) skid, your vehicle continues going straight even though you’re trying to make a turn. You’ve turned the wheels, but the vehicle is not responding to your steering because the front tires have lost traction with the pavement. In a rear-wheel (or “oversteer”) skid, the rear of your vehicle slides out from under you. The vehicle is turning more than you’ve steered it. In a skid, the most important thing you can do is to continue to look and steer where you want to go. If you keep your eyes on your intended path, your hands and feet with follow through. The next most important thing is to avoid slamming on the brakes. Hitting the brakes is a driver’s most typical response in any emergency situation. In a skid, slamming on the brakes only further upsets the vehicle’s balance and makes it harder for you to regain control. Shifting gears also will upset the vehicle’s balance. Don’t downshift or shift to neutral. Leave the gearshift alone and concentrate on looking and steering where you want to go. 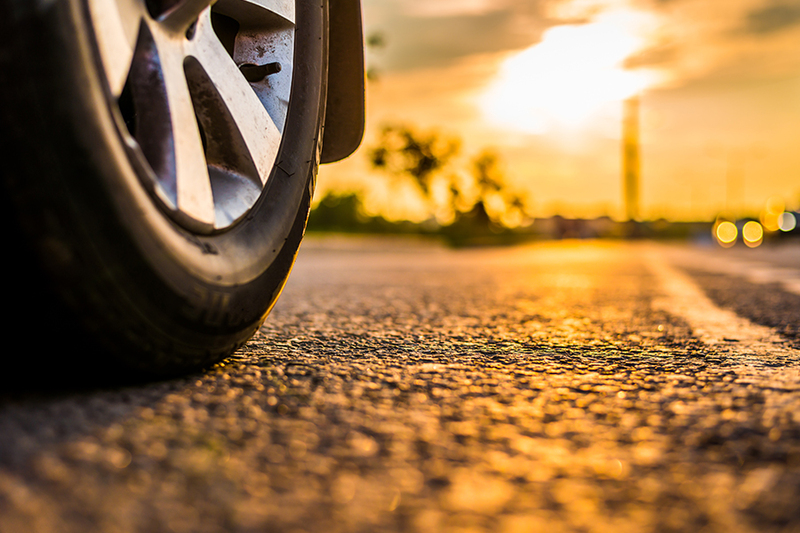 AAA conducted testing to understand performance differences at highway speeds between new all-season tires and those worn to a tread depth of 4/32” on wet pavement. AAA research found this. To help encourage parents to talk with their teens and to regularly “set the rules before they hit the road”, the NHTSA has developed these five crucial rules. It’s tempting to dash through the snow, rain or ice to get where you need to go during this time of year.